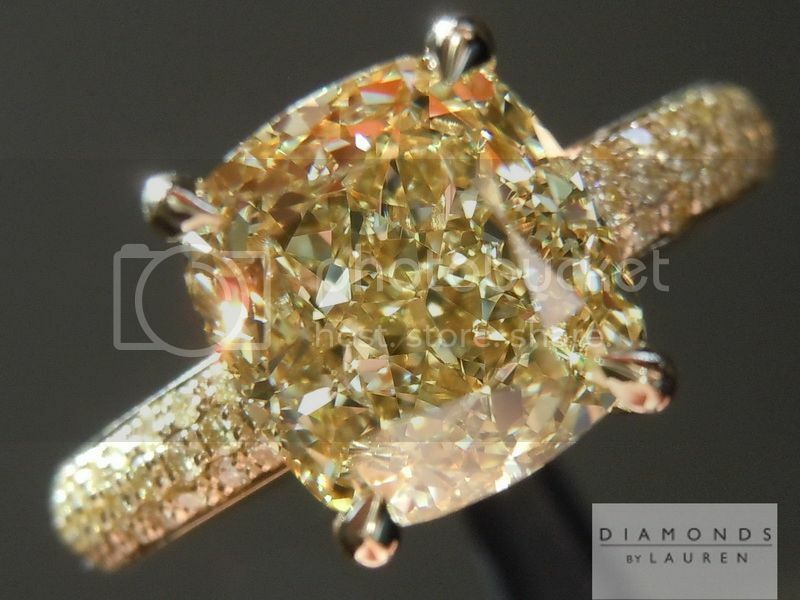 This item has a starting price of $4250 with diamonds purchased from Diamonds by Lauren. 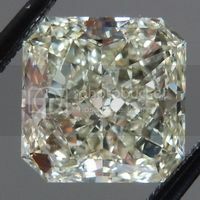 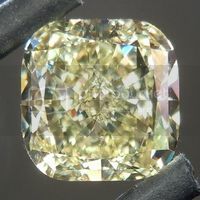 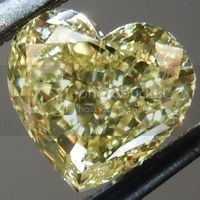 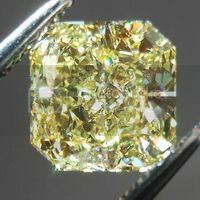 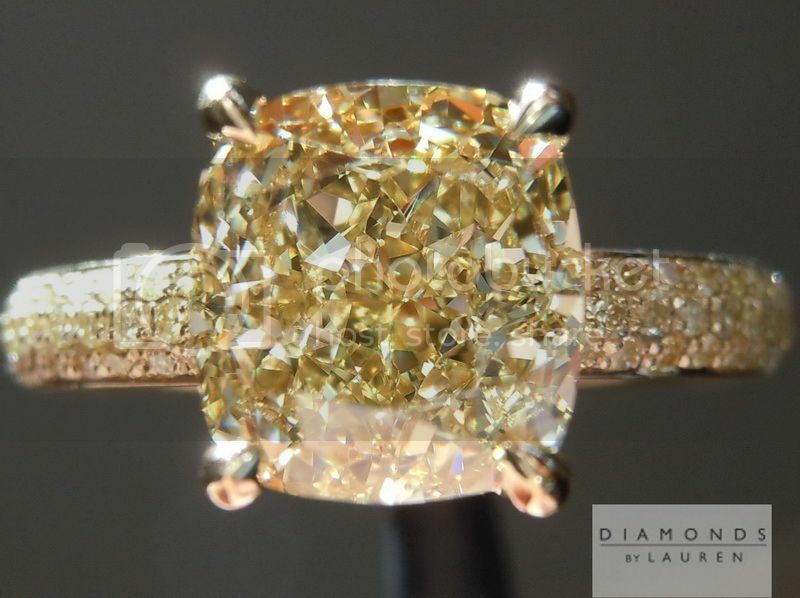 As shown with a 3.02ct Fancy Brownish Yellow Cushion Cut Diamond (not included in the price of the listing). 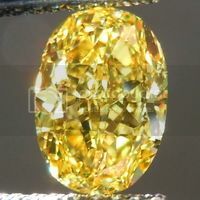 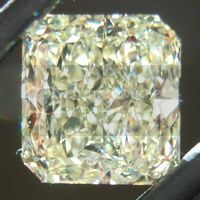 On this particular example, the setting has .146 Fancy Light Yellow VS-SI round brilliant diamonds for a total weight of .72cts. 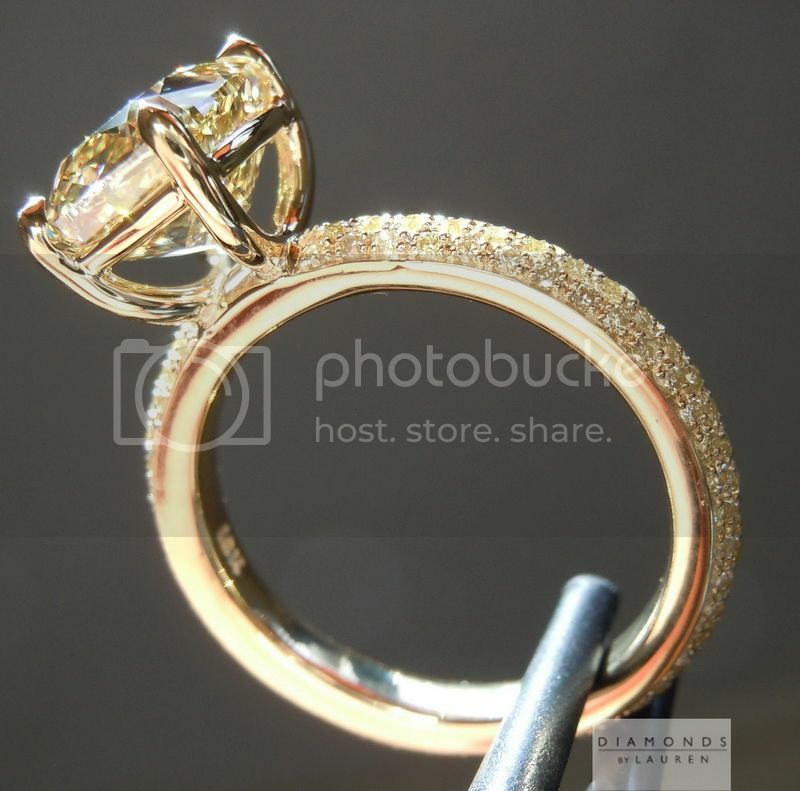 Here is simply stunning semi mount ring. 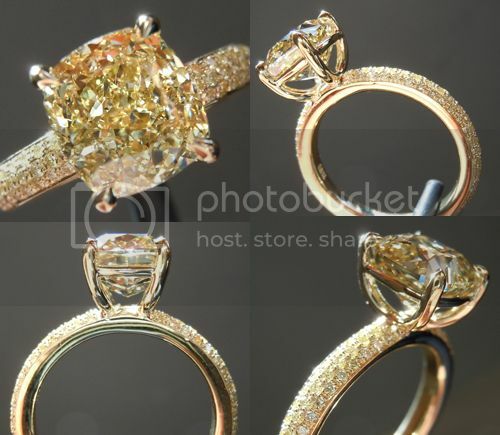 I love the shaped prongs especially when you look at the side view and see that they swoop under the ring in a graceful arc - the same piece of metal forms both prongs! 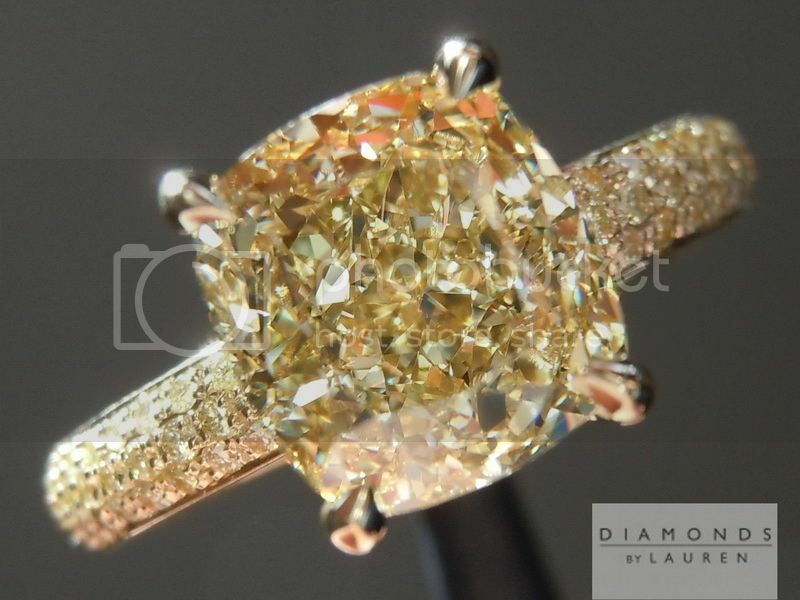 The shank is nicely rounded. 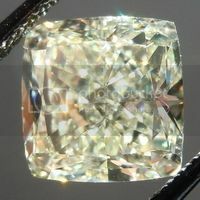 The stone is securely suspended in such a way we can actually get enjoyment viewing it from many angles.